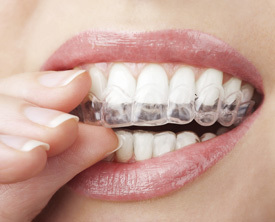 Invisalign® is recognised as the leading way to improve your smile. Through customised aligners designed to slowly align your teeth over time, a more radiant smile has never been easier! Treatment can last anywhere from four months to two years, depending on the current alignment of your teeth. Using Invisalign’s unique computer modelling, we’ll be able to show you how your teeth will progress through treatment – so you can get a sneak peak of the results even before you start! they’ll ensure you get ideal results. With our flexible financing, you can watch your teeth get straighter without hurting your budget. Payment Plans: We offer no-interest, no-credit-check plans starting with a $300 deposit. This plan allows you to renew your smile at around $198 a month for your two-year plan (based on Invisalign Lite). No credit check and no interest. Now that sounds like a reason to smile already! Prepayment Offer: Save up to $1,000 on your full treatment by prepaying for your Invisalign® service.